Description: A low growing plant. The leaves are palmately compound, and are composed of many elliptical leaflets with a strong crease along the midrib. The leaflets radiate out from the leaf stalk in a plane parallel to the ground. The distinctive pea family flowers are many and are arranged in a perfectly spaced fashion on the flower stalk, forming a cone shaped flowerhead. The flowers give way to stout, fuzzy pea-like seed pods. It's really pretty cool looking. 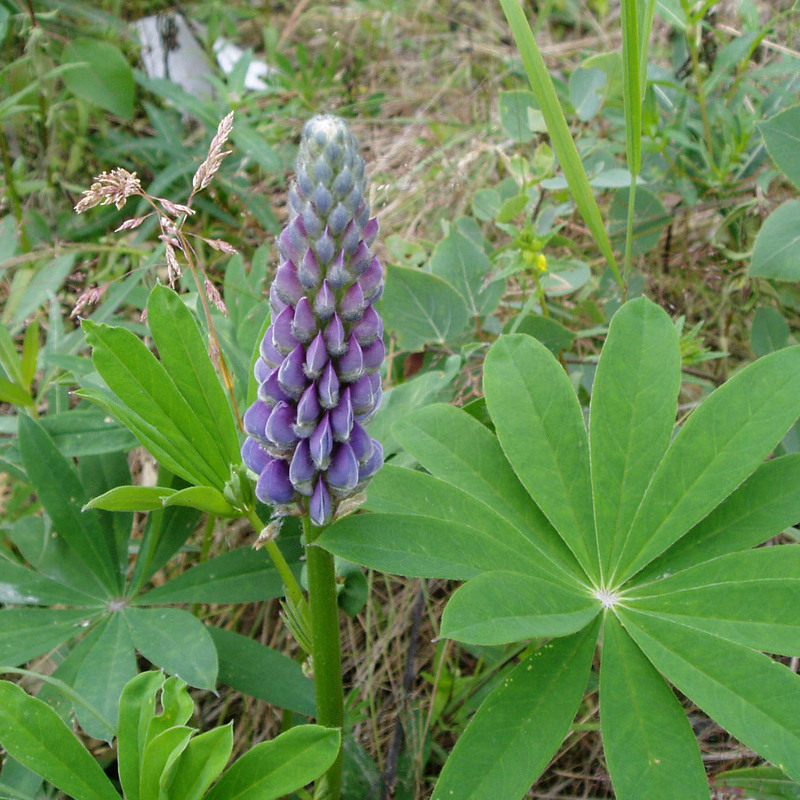 Poisonous: Lupines are quite poisonous, especially the seeds.